A History of the Greta Coal Measures - This site lists the mines in and around the Greta/Cessnock area, with accompanying text and photos for most. Port Waratah Coal Services - Brief history of coal and the PWCS. History of Coal Mining - From the Australian Bureau of Statistics, discusses state and national coal production in Australia. Australian Coal Association - Website for the organization that focuses on advocacy for the coal industry in Australia. 'Hunter Valley Coal Still Booming'. 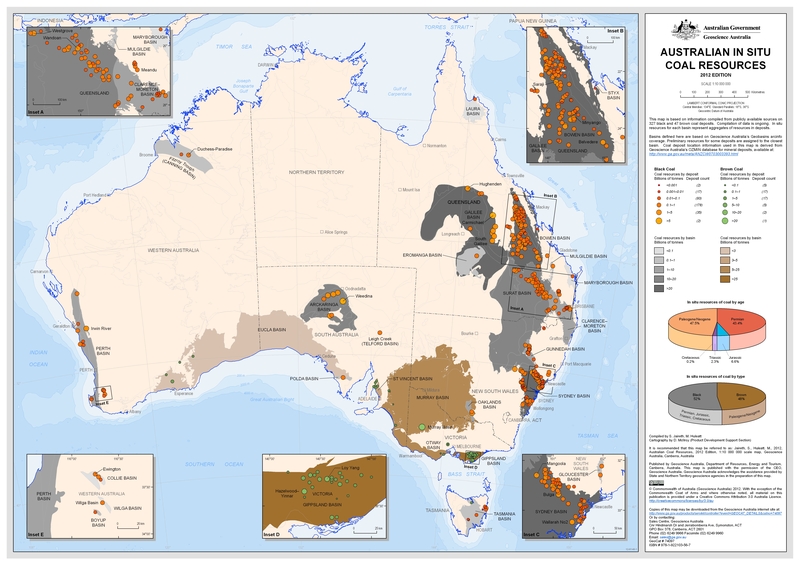 Australian Government GeoScience - Coal Fact Sheet discussing differences between brown and black coal and how it is mined and processed. Coal and Allied - Information about the company and their Hunter Valley sites. Coal in Australia - A Wikipedia article. Hunter Valley Coal Report - Publication to inform Hunter Valley communities about current mining projects and changes in the local mining industry. NSW Minerals Council - Mining in NSW site. Mining Methods - An overview of different mining techniques.